Sutton Uplift is a partnership between South West London and St Georges Mental Health Trust and local voluntary sector partners. Our partnership means that we have experience of supporting people with a diverse range of needs. Our staff provide community and outpatient services in each of the local boroughs as well as elsewhere such as in Kent and Cambridgeshire, and inpatient services at Queen Mary’s, Springfield and Tolworth hospitals. Read More. 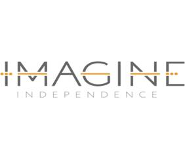 Imagine is a charity with a positive approach to mental health and works to promote opportunities for people to live a full and independent life. Imagine has spent the last four decades working within the mental health sector to improve the lives of its service users. Read More. Age UK Sutton's mission is to promote the wellbeing of all older people in Sutton, to help make later life a happy and fulfilling period. We offer a wide range of services for people aged 50+, with the aim of improving quality of life for older people and their carers. Our expanding menu of services includes information & advice on a range of topics, help at home services, leisure activities and social opportunities, befriending, advocacy, Internet and computer classes and other support services to enable older people, their families and carers to live well. 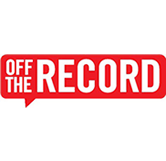 Off The Record is a Croydon-based agency providing free support to children and young people. We were set up in 1994 to help young people going through tough times. At Off The Record we provide a range of free, friendly and accessible support services for young people aged 14-25 who live, work or study in the Borough of Croydon. No Panic (Sutton & Merton) is a self-help group that provides support to people suffering from anxiety, panic attacks and phobias. We hold meetings weekly. The group exists to offer people support for their anxieties by talking to fellow sufferers and helping them to live more positively. We work in collaboration with IAPT supporting people both during and after their psychological therapies.